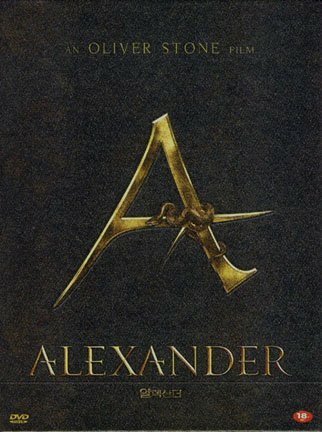 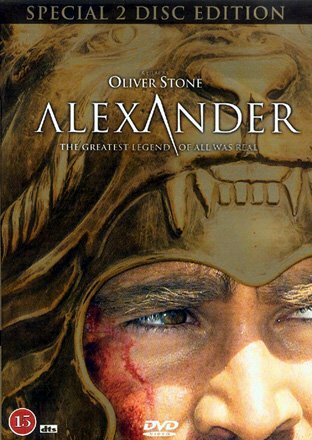 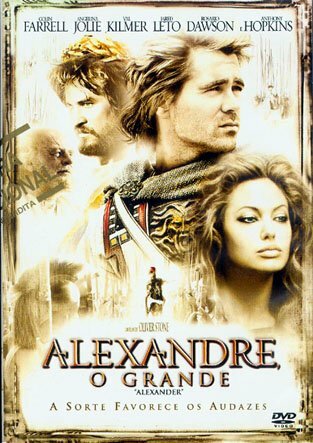 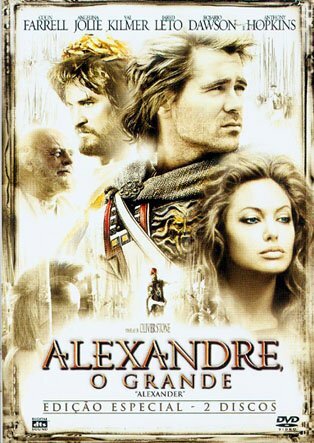 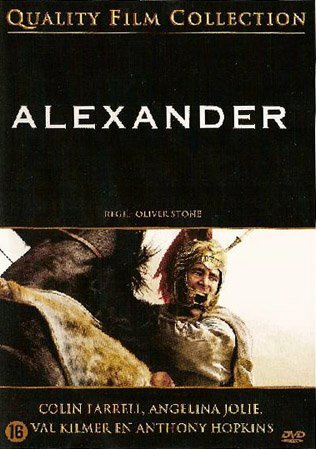 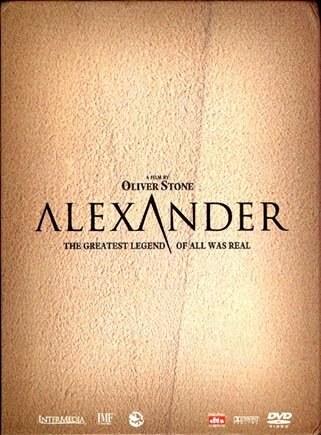 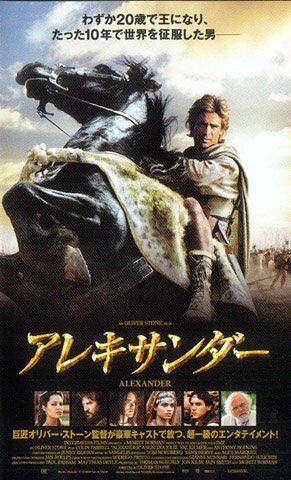 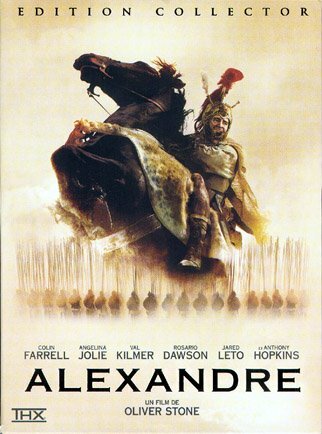 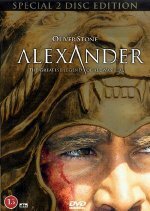 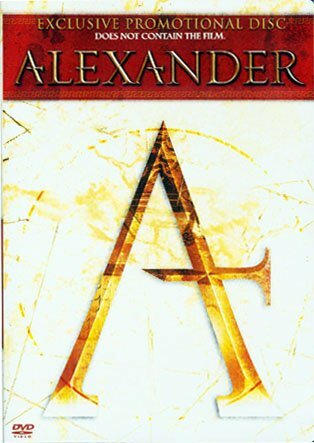 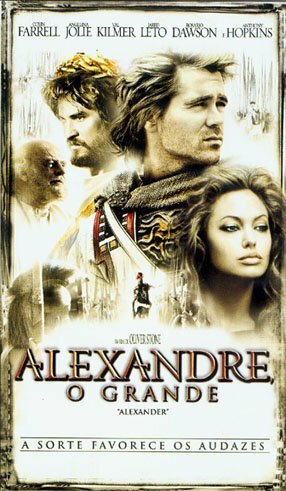 It was an unbelievable 8 years since Cavafy, but finally, Vangelis returns in 2004 with a score of magnificant scale, providing the soundtrack to Oliver Stone's Alexander. 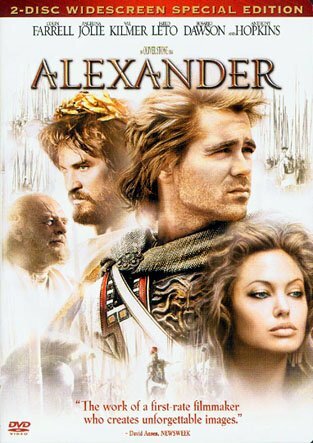 Reported to have costed $150 million to make, the film did less than stellar business in the USA but is nowhere near the disaster that some in the press tried to make it out to be. 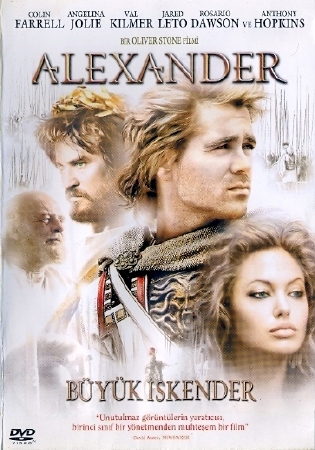 The film made back its costs at the box office, and also sold very well on DVD. 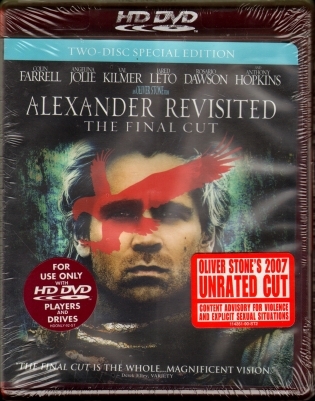 In fact, Warner Bros. is preparing to release another extended cut in 2007!!! 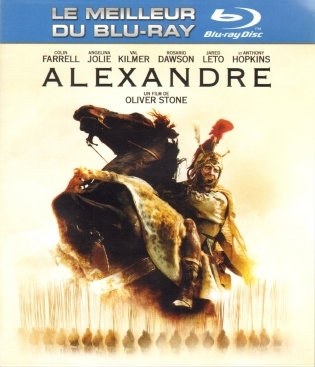 2005, 2 DVD Special Edition, 16:9 anamorphic, PAL, Dolby 5.1, Region 2, theatrical version, bonus disc includes "Fight Against Time" documentary, the National Geographic documentary "Alexandre le Grand" and actor interviews, in slipcase. 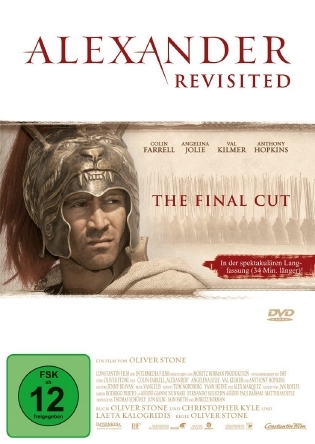 2005, 2 DVD Special Edition, 16:9 anamorphic, PAL, Dolby 5.1, Region 2, theatrical version, bonus disc includes brief Vangelis interview and brief raw footage of Vangelis in the studio, free giveaway with the purchase of the Italian movie magazine, "Panorama"
2005, 2 DVD Special Edition, 16:9 anamorphic, PAL, Dolby 5.1, Region 2, theatrical version ("As Seen in Cinemas"), movie is split betweem the two DVDs, and the supplemental material is also spread out across the two DVDs...very odd. 2005, 2 DVD Special Edition, 16:9 anamorphic, Dolby 5.1, Region 1, theatrical version, includes "Vangelis Scores Alexander" documentary! 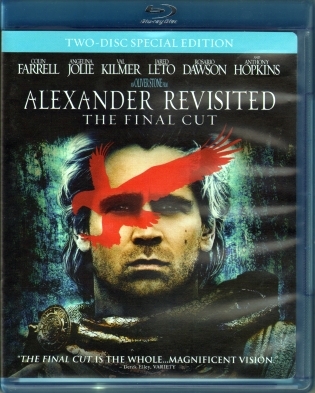 2005, DIRECTOR'S CUT, 2 DVD Special Edition, 16:9 anamorphic, Dolby 5.1, Region 1, includes "Vangelis Scores Alexander" documentary! 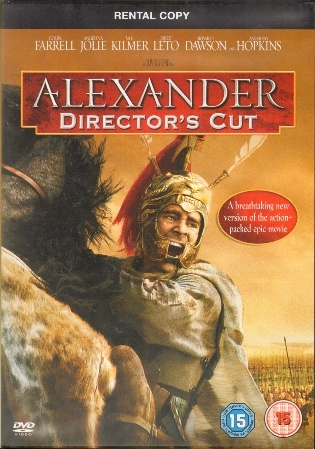 2005, DIRECTOR'S CUT, single DVD, 16:9 anamorphic, Dolby 5.1, Region 1. 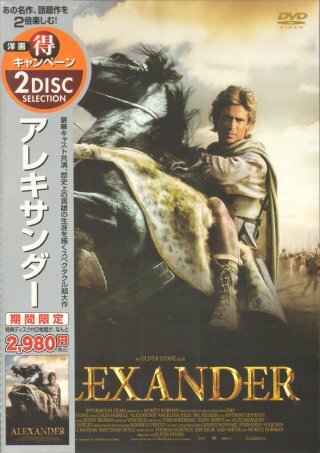 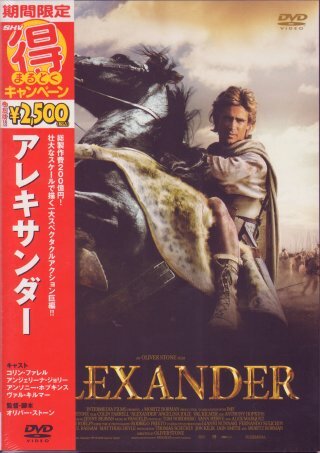 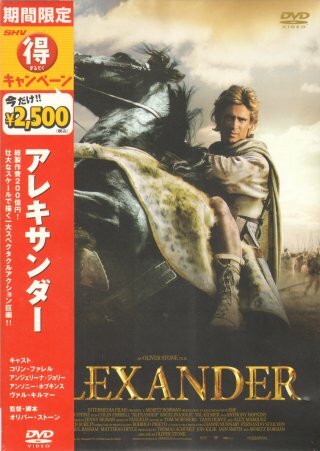 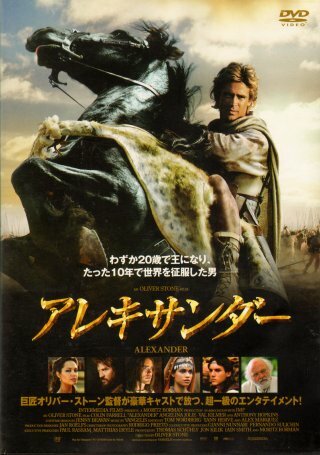 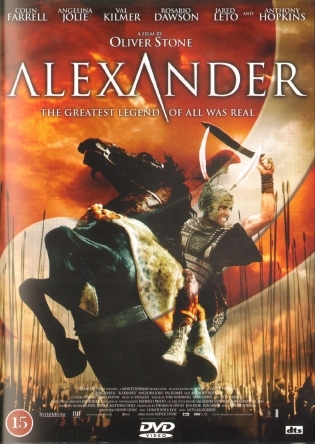 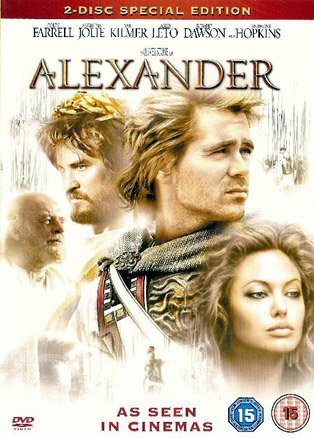 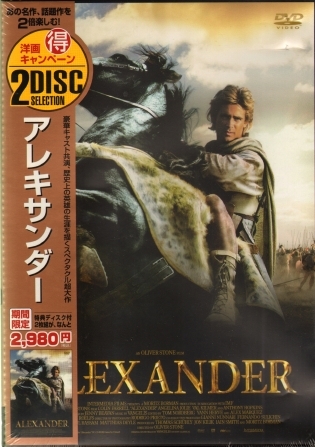 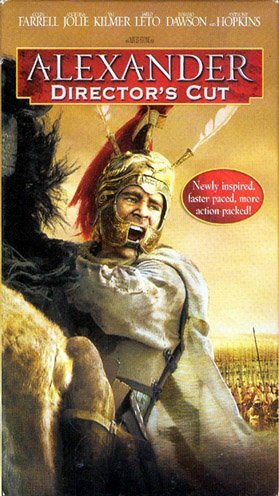 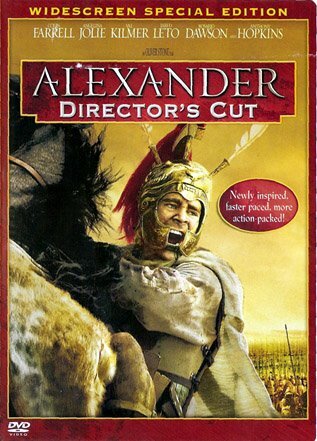 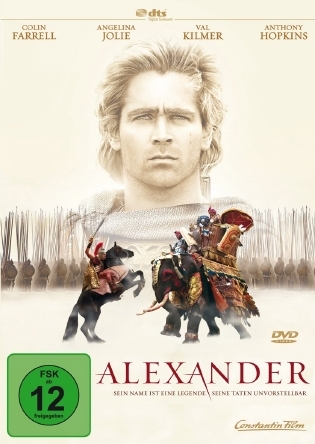 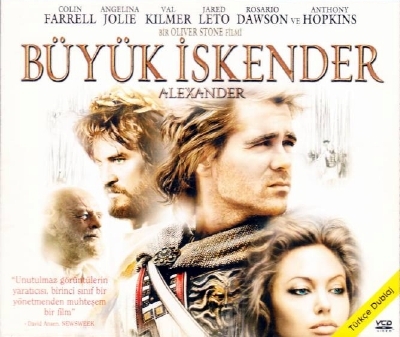 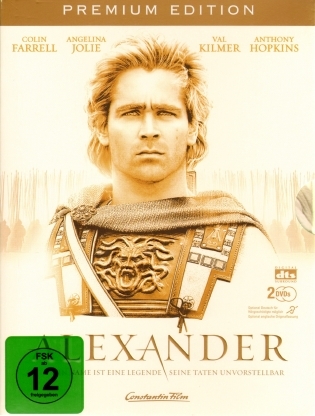 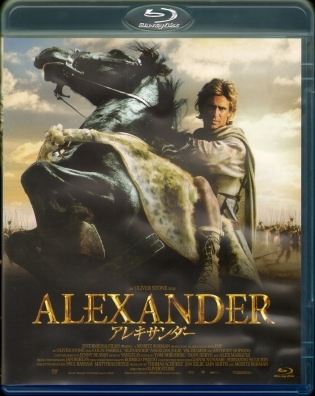 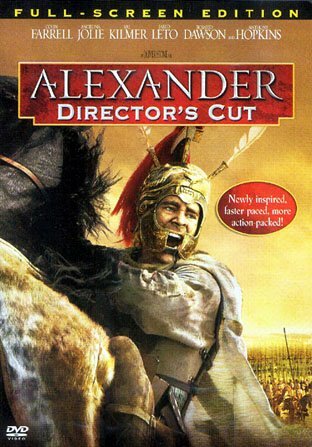 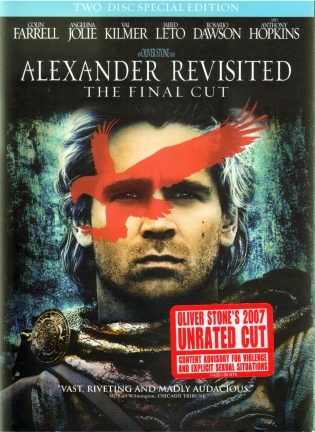 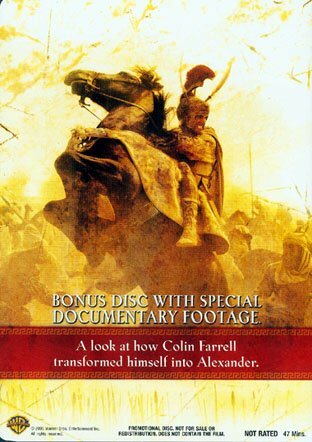 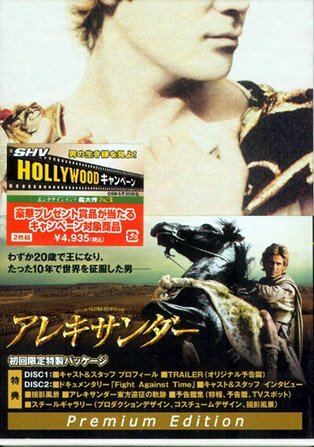 2005, EXCLUSIVE PROMOTIONAL DISC, bonus giveaway DVD with purchase of full Screen Director's Cut at WalMart Stores (USA), 47 minute documentary; "A Look At How Colin Farrell Transformed Himself Into Alexander"